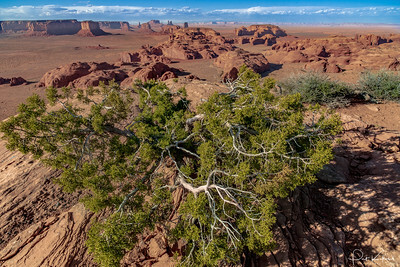 North view of Monument Valley from the top of Hunts Mesa. 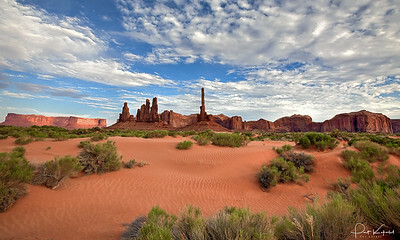 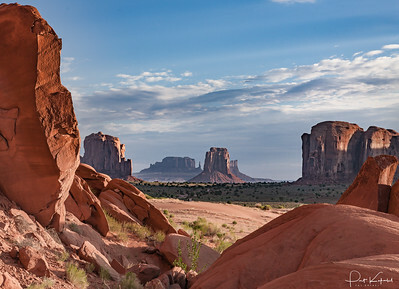 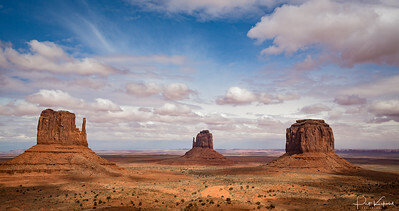 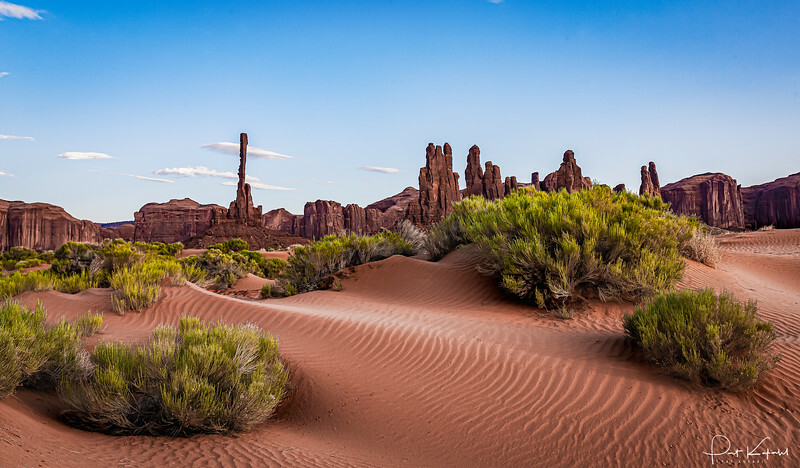 The open road, symbolic of the West and freedom stretches almost to the horizon near Monument Valley, Arizona. 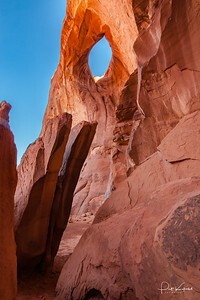 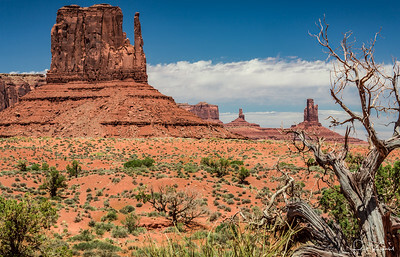 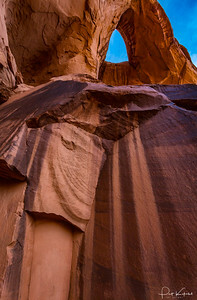 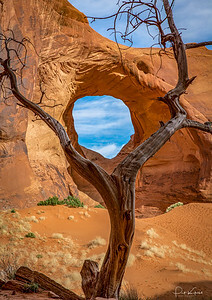 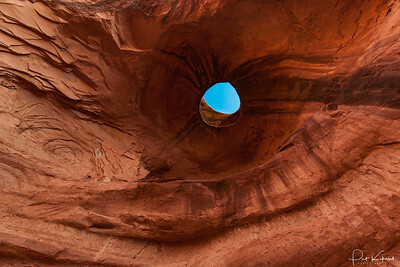 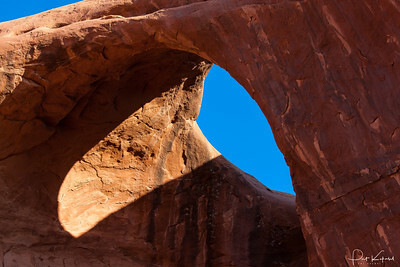 An ancient mesquite tree frames a view of the North Window on the floor of Monument Valley, Arizona. 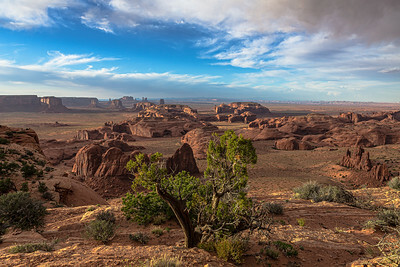 Aview of the valley floor from the top of Hunts Mesa at sunset. 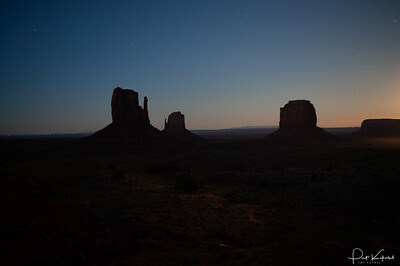 The ethereal moment after sunrise when stars begin to fade in the sky. 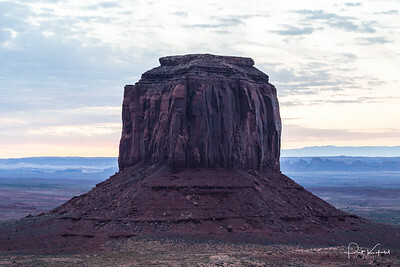 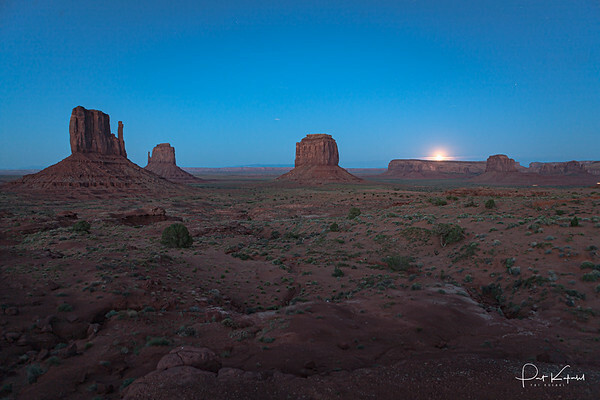 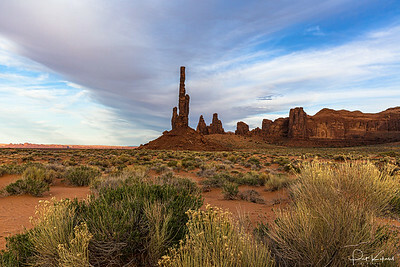 Dawn at Merrick Butte in Monument Valley.